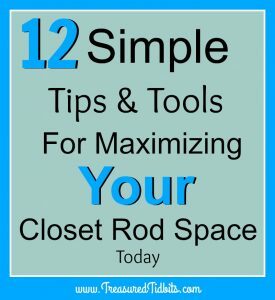 Today I thought I would share some of the great tools we use to fit two teenage girls into one closet without being overcrowded or messy. I had never even heard of most of these items before I joined Clever Container, but now I wonder how we survived the tiny house we used to live in without them. Please don’t think this is a sales pitch. It isn’t, BUT I am leaving a link to my Clever Facebook page so you can discover more inspiration. 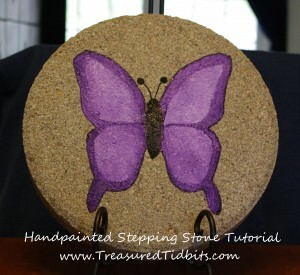 I am also sharing DIY, Amazon and Dollar Store alternatives to help you put your special touch on things. 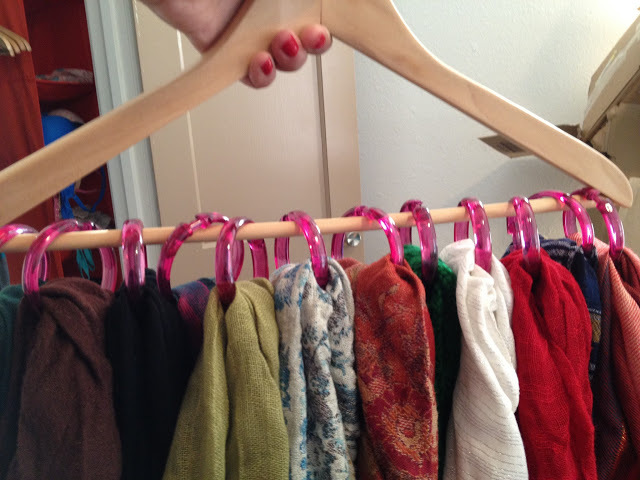 Velvet hangers. These are great for any items that tend to slide off of plastic hanger. They are also thin and fit better on your closet rod. 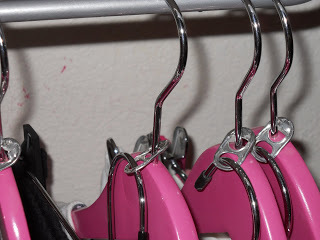 Note: I do NOT use them for everything because I found the fact that they hold on to the clothes to be an issue for my physical challenges and choose to use a plastic hanger instead. 2. If you can’t invest in velvet hangers at this time, try this method from InMyOwnStyle to adapt your current hangers. 3. 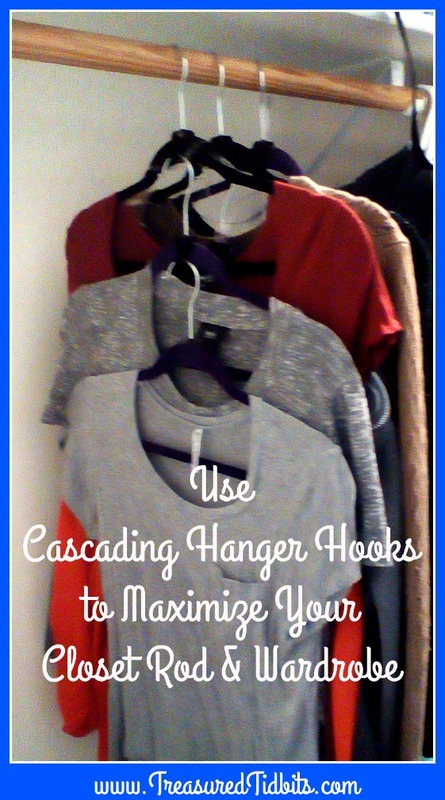 Cascading Hanger Hooks. 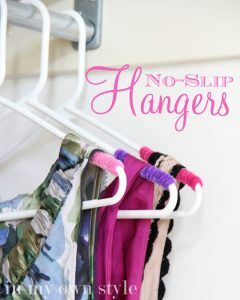 These have been a Godsend in my girl’s closet. We choose to layer them in groups of 3 or 4 and usually by category (flannels, t-shirts, nightgowns, etc…). The girls can get 4x as many clothes in the same space, on their closet rod, without overcrowding and wrinkles. 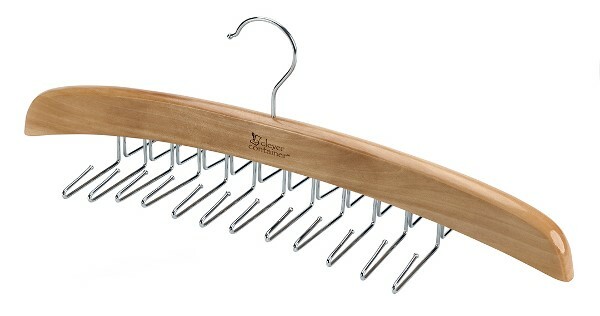 Note: Every photo I have EVER seen shows these being used with velvet hangers, which are perfect, BUT they work with plastic hangers just as well. 5. 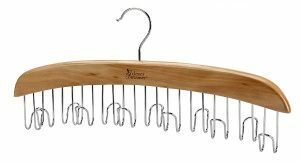 Cami or Belt Organizer. These come in a variety of styles, but our favorite is this one from Clever Container. You can read more about them here on my Facebook page. 6. If you can’t invest in these great hangers right now, try using shower curtain hooks on a regular hanger for tank tops, scarves or belt organization. 7. Tie Organizers. 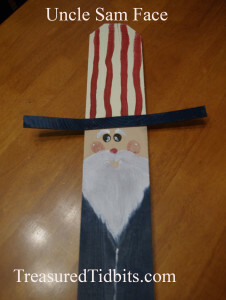 These are available in a ton of styles and variety of prices, but perfect for keeping ties and even scarves in place. 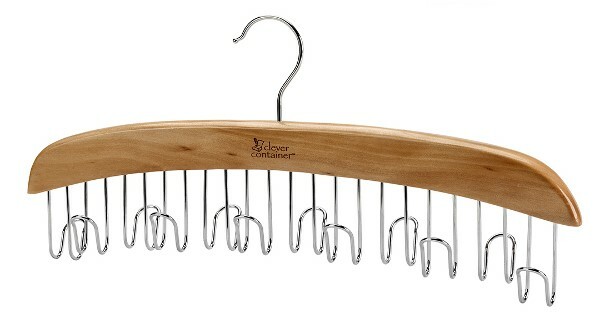 My fav is this one from Clever Container, it allows for you to flip the hooks out or in. 8. 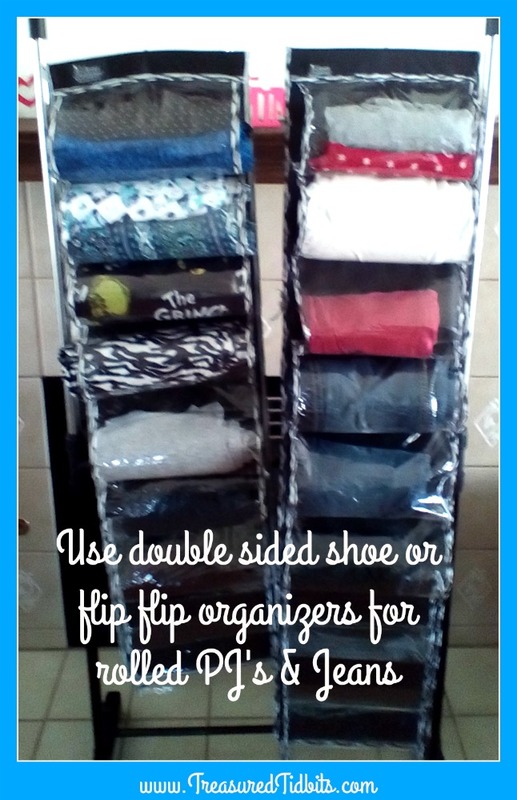 Hanging Shoe or Flip Flop Organizer. These were made with shoes or flip flops in mind, but we use them for tablecloths, yarn, rolled pajamas, jeans, leggings and more. They are versatile and hold a ton! Ask my youngest, she stuffs them to overflowing, since I gave her a limit for her wardrobe. If it doesn’t fit, it doesn’t stay. She can cram a boatload in them!!! 9. Sweater Cubby. 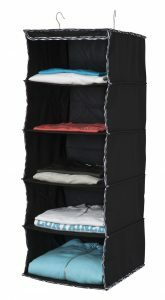 These are great for sorting kids clothes by school day, storing sweaters and sweatshirts, storing board games, material, craft supplies and tons more. 10. Pocket Organizers. 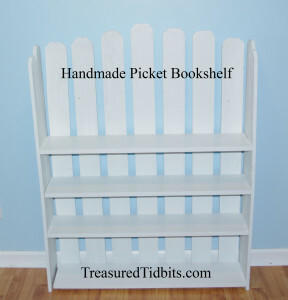 We use ours for craft supplies, socks, bras, scarves, jewelry, personal items, gloves and more. 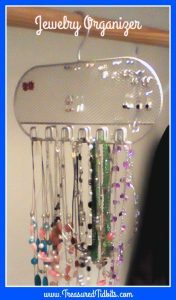 They come in a variety of sizes and can hang on your closet rod, NOT just on the back of a door. 11. 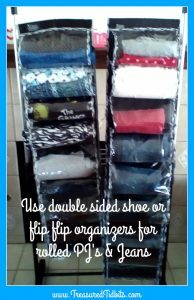 Purse Organizer. OMG, I was so excited when Clever came out with these things. I ABSOLUTELY love mine! Not that I have a ton of purses, but I do have bags for hospital stays, volunteering, cameras, babysitting, etc… and this thing holds them ALL in one place, without being cluttered! 12. 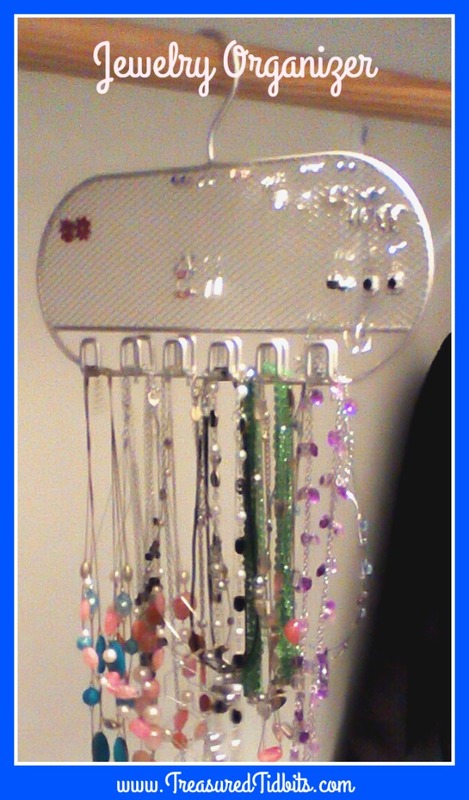 Hanging Jewelry Organizer. It takes up no wall space, can’t be knocked over by our cats and hangs neatly on the rod. Until I do a complete reveal of my daughters’ room remodel, I won’t share their entire closet, but for now, here is a peek at just my youngest daughter’s side. She is 16, and this is her entire wardrobe including personal wear, pjs, socks, jeans, etc… Her fancier dress wear is stored in our master bedroom walk in closet. 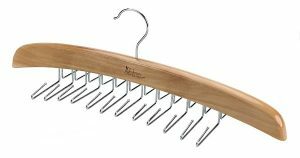 After years of struggling to keep our closets organized and accessible, these tools have worked amazingly for us. Hopefully they will work just as well for you. 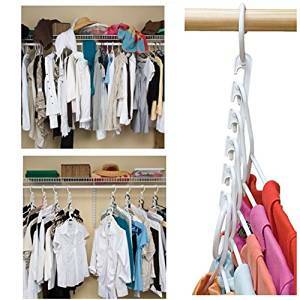 For addtional FREE ways to whip your closet into shape read this great post. This post does contain affiliates links to Amazon, which does not affect you as a reader, but I may receive a small commission if you use that link. It also contains links to my Clever Container page and their main site. If you order through my personal page, there I will receive a commission on the sales. 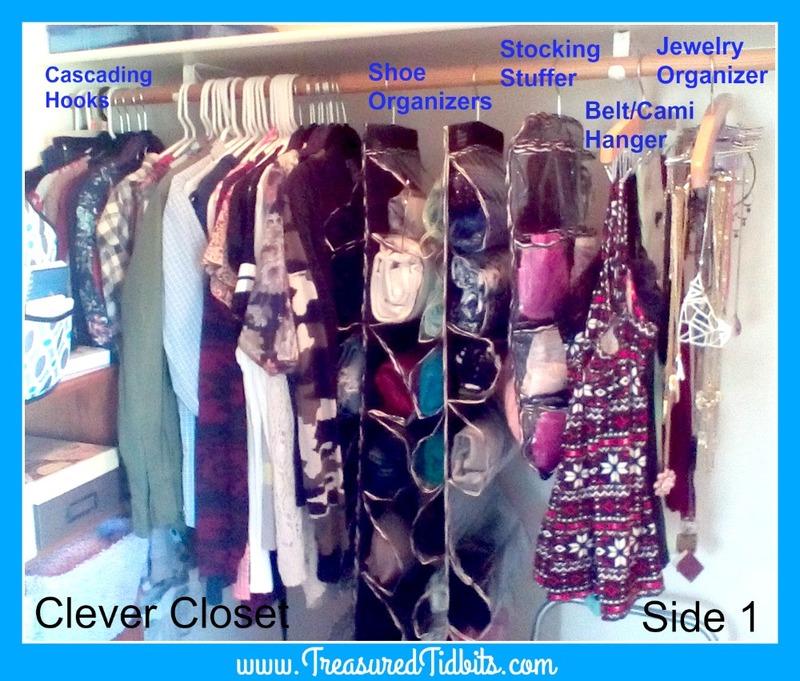 If you choose to find a local consultant or order through the main page, I will not, BUT you will still have an organized closet you can love. Want to refer to this list later? Be sure to pin it to your favorite Pinterest board, and while you are there, visit our Pinterest Board as well. 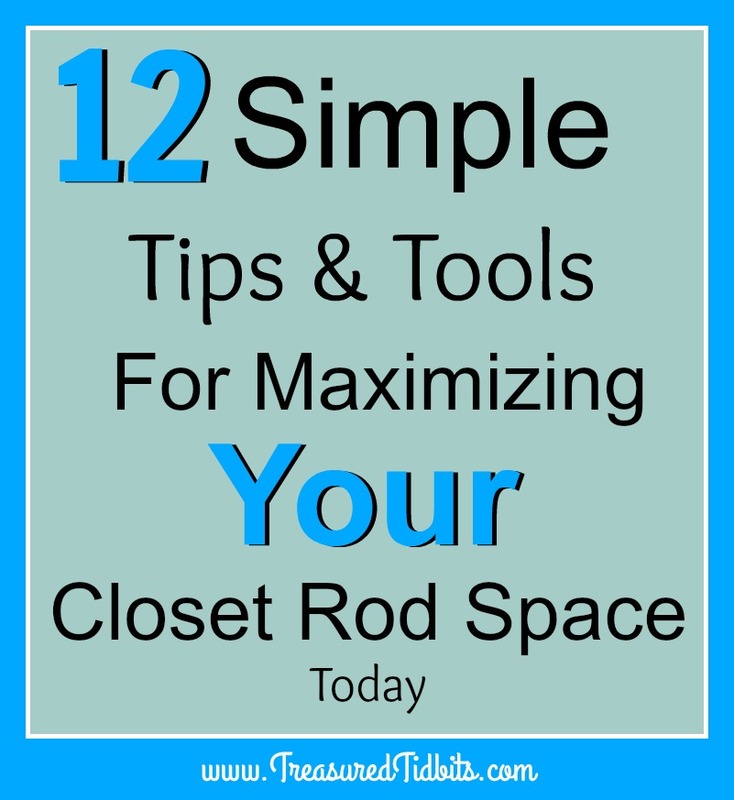 Need to organize more than your closet rod? Join our 30 Day Organizing Challenge email series and receive daily inspirations, tips, printables and quotes, to help you do just that. 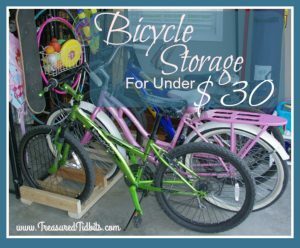 To see more posts like this, follow us on Facebook, Instagram, Pinterest and sign up to receive weekly emails- where we share upcoming deals, printables and more. This post is linked up at a variety of link ups for complete list of the link ups we follow and connect with click here.